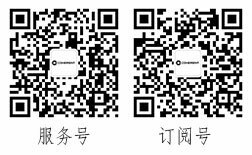 江苏新11选五开奖结果 www.mgnr.net The newest generation in sensor technology, enhances productivity and quality while improving measurement speed. 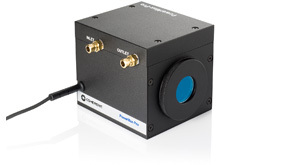 PowerMax-Pro (Patent #9,059,346) represents a dramatic technological advancement in laser power sensing that combines the broad wavelength sensitivity, dynamic range and laser damage resistance of a thermopile with the response speed of a semiconductor photodiode. This high-speed, thin film sensor technology for laser power measurement (50 mW to 15 kW) utilizes a unique thermal flow design enabling fast, high power measurement, with high damage resistance. The sensor is so fast, less than ten microseconds in the case of the “HD” version, that users can trace the pulse shape of modulated lasers at pulse repetition frequencies up to 25 kHz. In traditional thermopile detectors, heat is generated in the absorbing coating when it is struck by the laser. The heat must then move through the thick aluminum or copper substrate out to the edges, a distance of a centimeter or more, to where the thermocouple array is located. This heat flow takes time, which is why thermopiles take several seconds to steady out after the laser is turned on. 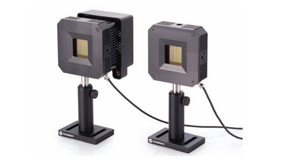 In these new PowerMax-Pro sensors, heat flows vertically through a film which is only microns thick. The result is a measurement response time below 10 μs, as compared to over 1 second for traditional thermopiles. Plus, these detectors can operate over a spectral range as broad as 355 nm to 11 μm, and incorporate a large 30 mm x 30 mm active area. The high response speed of PowerMax-Pro sensors is particularly advantageous in commercial applications, where it enables CW laser power and pulsed laser energy to be sampled much more frequently, resulting in increased throughput and improved process control. And, their broad spectral response and large active area make these detectors useful with virtually all commercial, scientific, and medical lasers operating in the visible, near infrared and far infrared, including CO2 lasers at 10.6 μm.